Update 10/26/10: Check out my World Series preview. Update 10/14/10: This update comes as the 2010 MLB playoffs have dwindled down to four teams. The ALCS begins Friday night in Texas while the NLCS starts Saturday in Philadelphia. I only predicted two of the teams to make it this far, but I like my chances of getting the World Series matchup correct. Sound off in the comments section to let me know your thoughts. Despite opening on the road, the pressure is on the Yankees in the first two games of the ALCS. They will send CC Sabathia and Phil Hughes to the mound and won’t have to face Texas ace Cliff Lee. If the Rangers can take even one of these games, I like their chances to win the series. Why? Because Lee will start Game Three, and after stifling Tampa Bay twice, his career playoff numbers are 6-0 with a 1.44 ERA. In Game Four, Tommy Hunter opposes AJ Burnett and his 5.26 ERA. While the Yankees do have the advantage in the opening games, it might not be as great as you think. Neither CJ Wilson nor Colby Lewis gave up a run in their starts against Tampa. They are more than capable of at least limiting the potent New York lineup. You know I prefer the other New York baseball team, so take this prediction with a grain of salt: Rangers in six. In Philadelphia’s sweep of the Reds, their pitching was absolutely dominant. Roy Halladay and Cole Hamels each threw complete games, and the staff pitched to an even 1.00 ERA. The Giants can match the Phillies arm for arm. Their staff is pitching to a 1.66 ERA in the postseason. We’ve got Halladay vs. Tim Lincecum in Game One. Does it get any better than that? But when you look at the lineups, the Phils clearly have the edge. The Giants put a ton of pressure on their pitching staff as is; it’s only going to be tougher against Philadelphia’s top-tier starters. Guys like Buster Posey, Aubrey Huff, and Juan Uribe have exceeded expectations, but they don’t strike fear in the opposition like Chase Utley, Ryan Howard, and Jayson Werth. I don’t expect much of a drop-off in the quality of pitching we saw in the Division Series, but the Phillies have more room for error given their multitude of sluggers. I predicted these two teams would meet before the playoffs started and I’m not changing my prediction. Phillies in six. 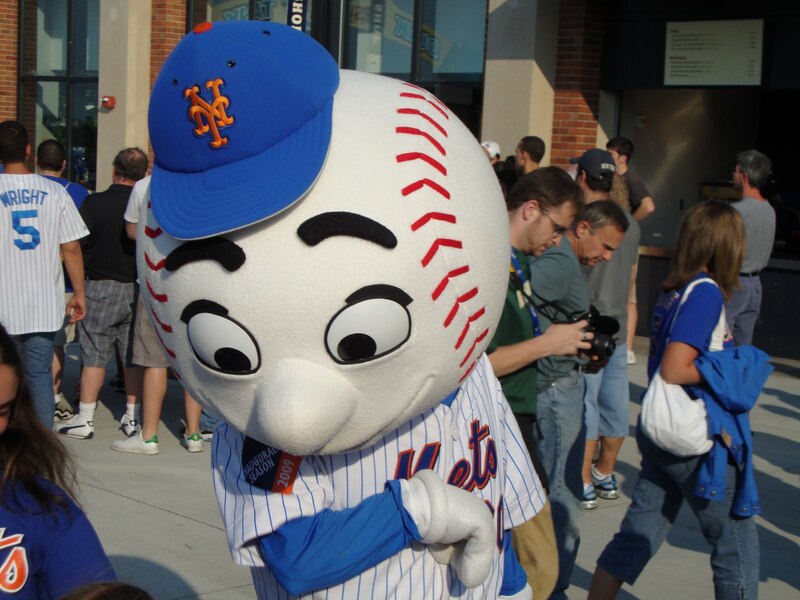 The New York Mets had a forgettable 2010. Not since the 2006 Mets have fans felt good about the team at season’s end, and even that year ended in heartbreak. The key difference in ’06, of course, was that there was hope. The organization continues to preach that it won’t accept mediocrity, but actions speak louder than words. Ownership needs to commit to this winning culture it keeps talking about. It needs a plan. The Yankees have a plan, the Red Sox have one, the Rays have one, and that’s just the American League East. The Mets need not model themselves after any other team, but they sure better come up with a model and stick to it. Pagan was this season’s most valuable Met if you like the Wins Above Replacement (WAR) stat. Many everyday observers, even those who don’t subscribe to advanced metrics, would say the same. David Wright is the only other Met you could make an argument for, but I think Pagan gets the edge because of his defense and perhaps because less was expected of him. With Carlos Beltran missing the entire first half, Pagan was relied upon to fill the void. Through September 28, Pagan had appeared in 145 of New York’s 156 games, nearly all as a starter. He played mostly in center field, but when Beltran returned he moved to either of the corners, playing Gold Glove-caliber defense no matter where he was positioned. Pagan hit in the first or second spot in the batting order the majority of the season but also hit third and sixth at times. When Jose Reyes was injured at various points, Pagan was counted on to jump start the offense. He is hitting .289 with 11 home runs, 69 RBI, and a .341 OBP. The fact that Gary Matthews Jr., not Pagan, was the Opening Day center fielder is Exhibit A in the case against Jerry Manuel managing this team in 2011. The pitching of Robert Allen Dickey was nothing short of unbelievable this season. I say that because hardly anyone could believe it. Dickey was 6-0 in his first seven starts with the Mets but fans, media, and anyone else paying attention called it a mirage. They waited for him to fall apart. Except he never did. Like the rest of the Mets staff this season, Dickey didn’t get much run support, so while he wasn’t piling up the wins he did carry a 2.32 ERA (through 14 starts) into August. I’ll admit, I didn’t believe it was real. His career stats screamed “Triple-A stud,” someone whose knuckleball clearly fooled minor leaguers but was futile against the big boys. But when Dickey pitched a complete game one-hit shutout against the Phillies on August 13, everyone took notice. He has struggled a bit in September, but his ERA still has him in the top-10 in the league, ahead of Ubaldo Jimenez, Chris Carpenter, Tim Linecum, and teammate Johan Santana. The terrifying look on his face when he releases a pitch, his 12 hits and five RBI in 50 at-bats, and his eloquent post-game quotes are a few of the things I’ll pleasantly remember from this disappointing season. Whether it was done out of necessity or with an eye towards the future is debatable, but one thing is certain: The 2010 Mets season was a bonafide youth movement. Jon Niese (23 years old) will make 30 starts this year. Ike Davis took over first base in late April and has started there ever since. Baby-faced middle infielder Ruben Tejada (21) has appeared in 71 games. Left-handed hitting Josh Thole (23) became the everyday catcher in July. Pitchers Jennry Mejia (20) and Dillon Gee (24) and outfielder Lucas Duda (24) have also seen action with the big league club. I remember watching the first game that featured Niese pitching to Thole with Davis, Tejada, Wright, and Reyes behind him in the infield—an entire infield of homegrown players. It was refreshing to see. Davis has gone through slumps (but has 18 homers). Tejada has hovered around the Mendoza Line but has shown promise of late, hitting nearly .300 in September. Niese has struggled recently (his ERA has risen to 3.95 and he sports a 1.41 WHIP), but generally speaking the results have been very encouraging. A 3.75 ERA and 1.40 WHIP are nothing to celebrate, but Pelfrey was a legitimate ace in the first half. He was 9-1 with a 2.39 ERA at one point, but pitched to a 10 ERA in July. He has turned it around down the stretch and has won 15 games, the most of his career. After the great start, many thought Big Pelf had taken the next step towards becoming a stud. 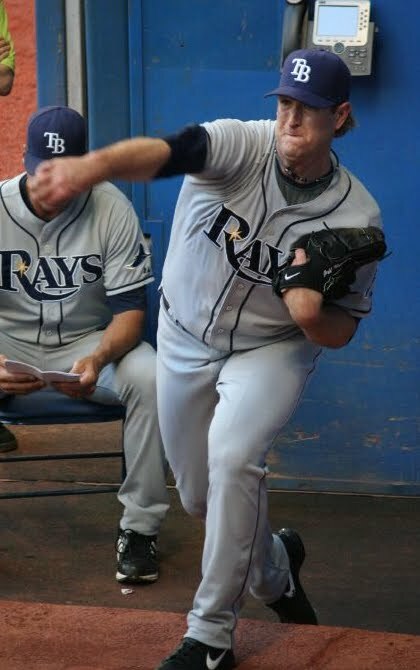 The poor stretch was reminiscent of old Pelfrey, as his body language was terrible and he seemed clueless on the mound. But I’ve been impressed with his resiliency in 2010 and think 2011 will be a true breakout season for the Mets’ 2005 first round draft pick. If you were being honest with yourself, it was clear from Opening Day that this year’s Mets team was a .500 club. That opinion, again, if you were being honest with yourself, should not have changed at any point this season. But it was hard not to get caught up in the two eight-game winning streaks. The Mets closed out April by winning eight in a row against the Cubs, Braves, and Dodgers, all at home (if the Mets could play every game at Citi Field, they’d be a playoff team). Sweeping Atlanta and taking both games of a double header against LA was exciting. The next big streak came in mid-June. The Mets took the rubber game against San Diego at home, then travelled to Baltimore and Cleveland and swept both lowly American League clubs. Their eighth consecutive victory came via a shutout at Yankee Stadium, finishing a stretch in which the Mets won 12 of 13. Meaningful July games, that’s all you can ask for, right? I can’t remember which, but one Mets blog I have visited has a countdown clock to when Perez’s contract expires. Sadly, that doesn’t sum up why Perez is No. 1 on this list, because that clock was in place last season. It has only gotten worse. Despite beginning the season as part of the starting rotation, he only lasted seven starts. Unable to retire hitters—in short, those that didn’t walk got hits—the Mets were essentially forced to remove Perez from the rotation. Refusing a trip to the minor leagues, Perez has rotted away in the bullpen ever since. He has made five appearances since May and has not pitched since September 6 despite the Mets being long out of the playoff race. The worst part? Perez is still on the books for next season, when he’ll make another $12 million. Castillo is to the lineup what Perez is to the pitching staff: a useless financial drain. Castillo only makes half as much, but I think it’s fair to say that $6 million is a tad much for a second baseman with no range or hitting ability. Castillo turned it on last year and actually finished with a batting average over .300, but has regressed to his 2008 production levels this season, batting .234. Somehow he still draws a decent amount of walks despite slugging .266. Whoever the Mets’ General Manager is this offseason will have his work cut out for him as he tries to find takers for Castillo and/or Perez. I recall when the Mets signed K-Rod (I don’t even like typing that anymore; he has lost the right to have a complimentary nickname), my older brother said how non-Mets fans would hate the Mets even more. His thinking was that people already disliked the celebratory antics displayed by Reyes, and now we were bringing in the biggest showboat on the mound. What my brother didn’t figure was that the fans who would hate Rodriguez the most would be Mets fans. But after an embarrassing 2010, Rodriguez is right up there with Perez and Castillo, and it doesn’t even have much to do with his on-field performance. Rodriguez pitched to a 2.20 ERA and 1.15 WHIP, and while he blew the save in New York’s epic 20-inning game with the Cardinals, the Mets eventually won that game. Only twice did the Mets lose a game that Rodriguez blew, none more crushing than his July 3 collapse in Washington. But again, it was not Rodriguez’s pitching that made him a hated man in his own city. The closer was arrested following an August 11 game for an altercation with his father-in-law, throwing a punch that led to season-ending surgery. He appeared in court earlier this month for violating an order of protection by sending dozens of text messages to his estranged girlfriend. The Mets suspended Rodriguez without pay. It is unclear how the organization will proceed this offseason. They could try to void the remainder of his lucrative deal or explore a trade. Either way, Rodriguez has been an embarrassment to the organization this season. I was in Ann Arbor in January and thought it was a joke when my friend John texted me to say that Beltran had undergone knee surgery. This sparked a public feud that included the Mets, Beltran, Scott Boras, and several doctors over whether Beltran had been given the green light for the surgery. Either way, delaying the surgery until 2010 meant Beltran would miss the entire first half. He has not been the same player this season, batting .255 and looking like one of the worst center fielders in baseball. 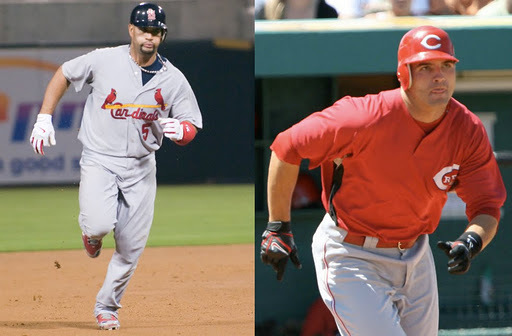 Veteran Torii Hunter made the move to right field this season; will Beltran be willing to do the same in 2011? This was Santana’s third season with the Mets and the third one that ended with a surgery. In 2008, he pitched on a severely injured left knee in an attempt to carry the Mets into the postseason. He had surgery as soon as the season ended. His 2009 campaign was cut short in late August because of surgery to remove bone chips in his elbow. This season’s injury was perhaps the most troubling, as this time it was his shoulder that required surgery. He last pitched on September 2. The numbers have been stellar all three seasons (2.85 ERA over that span), but you have to wonder whether the Mets will get a full return on their six-year, $137.5 million investment. Will Santana hold up for three more seasons? Mets fans and management can only hope. Consider that I didn’t include Jason Bay (.259 BA, six home runs before being shut down in late July due to a concussion) on this list, or directly mention Omar Minaya, Manuel, or the Wilpons and you’ll get a feel for how bad this season really was. The worst part is that while the bright spots return next season, so do the headaches. How Beltran and Santana recover from their surgeries will be critical, as will whether the Mets can find a trade partner for Perez or Castillo. My feeling is that come mid-October, someone other than Minaya and Manuel will be making these decisions. In March, before the 2010 MLB season began, I made my divisional and playoff predictions, which appear below. At the All Star break, I revisited those predictions. Now that the playoffs are less than two weeks away, I want to provide another update. Look for more as the regular season officially concludes and the playoffs begin. Thoughts: The Yanks and Rays are still battling for the title, so it’s too early to call this. Clearly I was wrong about Boston, but who could have predicted all the injuries? Thoughts: Cleveland and KC are currently engaged in a four-game series. If the Indians can take three of four, my predictions will likely be 100% accurate. If you want to think highly of me as a prognosticator, stop here, because it’s about to get ugly. Thoughts: I could not have been more wrong here. I should have bought into the hype surrounding the Rangers. They have dominated this division, while my wild card pick — Seattle — has the worst record in the league. Sadly, the biggest story of the season in Seattle was Ken Griffey Jr’s retirement. Thoughts: While many liked the Braves this year, I said the Phillies would coast to a fourth straight divisional title, something they have all but locked up. I was wrong about Atlanta, New York, and Florida essentially being even throughout the year, but can you blame me for breaking the tie by going with my favorite team? Mets fans were apathetic at the start, then excited about a sweep of Atlanta and the play of the youngsters, before finally wondering how the franchise had fallen so far. As for Washington, well, at least Strasmas was fun while it lasted. Thoughts: I knew Joey Votto was good, but I didn’t realize he’d be a Triple Crown candidate all the way into September. Thoughts: I wish I could tell you I accidentally put these teams in the reverse order. I suppose I can’t knock myself too much over Arizona, since Brandon Webb’s injury kept him out the entire season. I can be blamed for putting San Fran and San Diego at the bottom though. Good pitching — or in their case, great pitching — beats good hitting, and maybe next year I’ll remember that. Thoughts: I’m going to get two out of four playoff teams correct, which is bad, but not terrible. And I still believe in my pennant winner, though getting past the Rays and Yankees is of course going to be extremely difficult. Thoughts: In the NL, it’s worse — I’m only one out of four, and my league champ isn’t going to qualify for the postseason. If the Phillies do in fact advance to the NLCS I can’t call it a complete disaster. Thoughts: All my eggs are in the Twins’ basket. Bring on November baseball in Minnesota! The last Triple Crown winner was Carl Yastrzemski, who accomplished the feat for the Boston Red Sox in 1967. In the National League specifically, the drought is even longer: no player has done it since Joe Medwick in 1937. But this season, two legitimate contenders—St. Louis’ Albert Pujols and Cincinnati’s Joey Votto—are vying for the prestigious title. Medwick, a Cardinal like Pujols, hit .374 with 31 home runs and 154 RBI 73 years ago. Nicknamed “Ducky” and “Muscles” during his playing days, Medwick lived a full life yet died 35 years ago. The Triple Crown is not an easy accomplishment. As you can see, Pujols and Votto are at or near the top in each category. They will likely fight for the Triple Crown (and the MVP award) right through to the final week of the season. Which player has the upper hand? If experience counts for anything, Pujols has been here before. 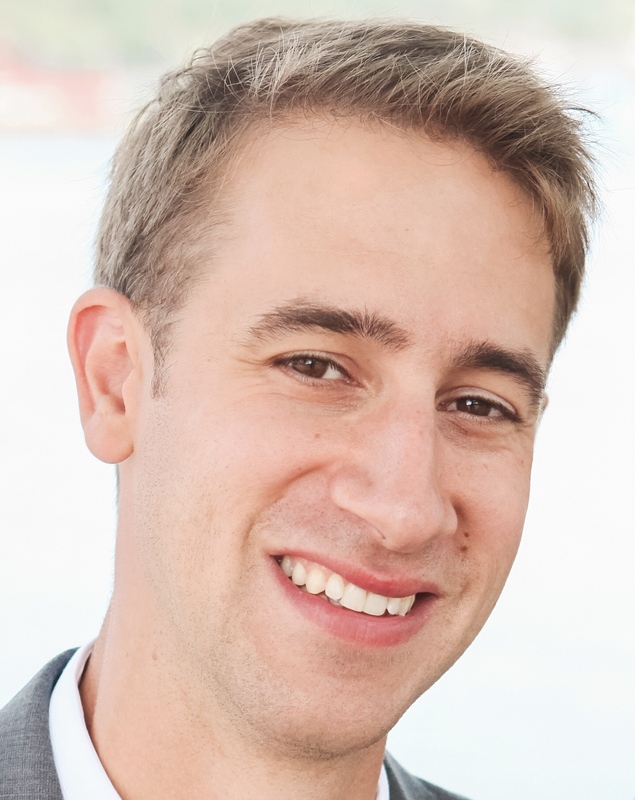 Except for 2007, the Cardinals’ star has been in the top five in all three categories each year since 2003; three times he has been in the top three of each. Despite this amazing consistency, Pujols has obviously never won the Triple Crown. * He’s put himself in position year after year, but hasn’t been able to do it, which shows just how difficult it is. *Pujols did win the National League Triple Crown for the decade though, leading the league in homers, RBI, and average for the ’00’s. This has only happened twice, most recently when Ted Williams did it in the AL in the 1940’s. But again, Pujols never captured the Crown for a single season. Votto, on the other hand, is having a breakout season. He’s a lifetime .314 hitter, but this is only his third full season in the majors and the first time he’s hit more than 25 homers. He and Pujols are similar in that their power numbers are the same at home and away, but both hit for a significantly higher average on the road. Starting on September 1, St. Louis will have two more home games than road games, while the Reds will be on the road two extra games. It seems insignificant, but in a race this tight, every advantage helps. Stephen Rhodes of The Reds Report points to the players’ opponents as well. He notes the Reds’ two series against St. Louis and San Diego, the top two pitching staffs (as far as ERA) in the league. If Votto can simply stay afloat against those tough pitchers, perhaps he can make up ground in the six games against Milwaukee (third worst staff) or four against Arizona (second worst). Pujols, meanwhile, gets six games against the Pirates, the worst pitching team in baseball, and six against the Cubs (fourth worst). St. Louis does have a four-game series with Atlanta, which has the league’s third-best staff. Gery also made the astute observation that since steroid testing was implemented, players no longer need to hit 50-plus long balls to win the home run category. This gives more complete players like Pujols and Votto a better chance at winning the Triple Crown. If Infante doesn’t crash the party though, baseball fans have a good shot at witnessing history, something that Pujols may also have on his side. Not only was a Cardinal the last player to achieve the feat, but the only player to do it twice—Rogers Hornsby, in 1922 and 1925—also did it for St. Louis. No Reds player has even won the Triple Crown. Perhaps we’ll see these two Senior Circuit stars compete for the Crown for several more years. As for this season? I predict it will not happen. Pujols and Votto haven’t separated themselves enough from the rest of the league, yet alone each other, to presume one will sweep the categories. Stephen Strasburg: Will He Recover from Tommy John Surgery? MLB Lifers: Pujols Joins Club After This Season; Votto on His Way? Stephen Strasburg Injury: Will He Recover from Tommy John Surgery? So while the news that Washington Nationals phenom Stephen Strasburg will likely need Tommy John surgery and miss the rest of this season and all of 2011 is terribly upsetting, it’s not shocking. Of course, that’s the last thing the Nationals’ management wants to hear. CNBC sports business reporter Darren Rovell provides great information on the economics of Strasburg. Rovell says that Strasburg’s starts brought in over 10,000 additional fans to Nationals Park, which translates to more than $320,000 (extra) in ticket sales per start. Strasburg made seven starts, so that’s about $2.3 million. Throw in concessions and parking and you arrive at an estimated $3 million. The Nationals gave Strasburg the largest contract ever for a drafted player when they agreed to pay him $15.1 million over four years, half of which was paid as a signing bonus. All of that money is guaranteed. Strasburg was on his way to recouping at least the bonus in 2010 alone. But the injury will ensure that he won’t give the Nats any return on their investment until 2012. From the teams’ perspective, Strasburg’s injury is yet another example of why no pitcher deserves that kind of guaranteed money. So many of them get injured (and, believe it or not, some stay healthy and still don’t blossom into stars) that it’s hard to justify giving a pitcher such a big contract. Strasburg, though, is such a unique case. He was hyped up so much and was so good in his limited action that the buzz he generated translated into millions for his franchise. If Strasburg can in fact come back and pitch in 2012—more on that in a bit—and create the same type of excitement in Washington, DC (I hesitate to call them “Nationals fans”) that he did in his debut season, he could still prove to be worth the investment. In an ironic twist, Jordan Zimmermann started for the Washington Nationals the day before the team announced the extent of Strasburg’s injury. Nationals Strasburg fans feeling as if their world is over should look to Zimmermann, who had Tommy John surgery in August of 2009. His road to complete recovery took a full year, but no longer. 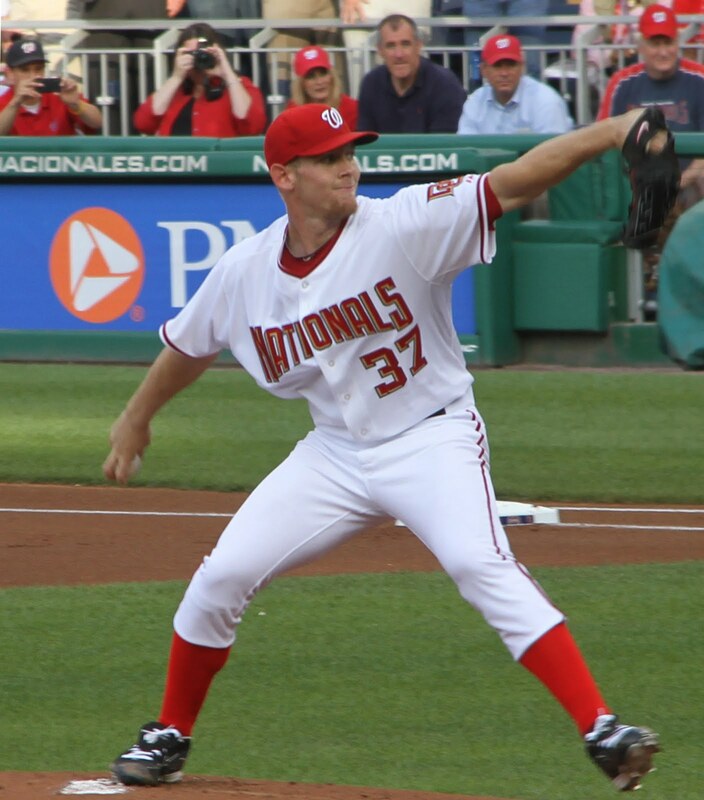 Given that Strasburg will have surgery even later in the year than Zimermann did, it’s reasonable to assume that even if he were ready to go by September 2011 he would not return to the Nationals’ rotation until Opening Day 2012. In other words, even with an unusually long recovery he should be able to meet his expected return date. But will he be the same? We’ve all heard this before: No two surgeries are alike. But given his skills and competitiveness, there are some comparable pitchers to analyze. If there’s truly nothing wrong with Strasburg’s shoulder and it’s simply his elbow that needs work, it’s fair to expect he’ll make a full recovery. Modern medicine is an incredible thing, and has recently done wonders for a long list of aces. As this table shows, Strasburg should be ready to pitch next September, but unless the Nats are miraculously competing for a playoff spot, there’s absolutely no reason to let him pitch in the majors until 2012. The pitchers on this list not only came back somewhere around 12 months after having Tommy John surgery, but returned to pre-injury form. Johnson, the Florida Marlins ace, is an incredible story. He was in the big leagues only 11 months after surgery and went 7-1 that season. He was a 15-game winner a season ago and currently sports a 2.36 ERA. Hudson is having an even better season. His 2.24 ERA is third best in the league. In St. Louis, a pair of “Tommy Johners” are performing well. Carpenter, second in the Cy Young voting last season, has 14 wins and sub-3 ERA. Garcia, who pitched in the minors last year before earning a spot in the Cardinals’ rotation at the start of this season, is a favorite for the Rookie of the Year award. Over in the American League, Pavano is having a nice comeback season with Minnesota (15 wins). Marcum, who like Garcia first returned to the minors before being named Toronto’s Opening Day starter in 2010, is also pitching well—he had a one-hitter earlier this month. Skeptics will point to pitchers like Mike Hampton, B.J. Ryan, and Darren Dreifort, guys who never returned to pre-injury form after undergoing Tommy John surgery. But it seems that for most pitchers who had the surgery in the past 10 years, there is usually an explanation when it doesn’t work out. Hampton had several other injuries, as did Dreifort, who missed time for knee, hip, and shoulder problems. Ryan’s velocity never really returned, but he had such an unconventional throwing motion that it’s possible he had shoulder issues as well. Consider this: nine pitchers selected to the 2010 All Star game—including standout closers Billy Wagner, Joakim Soria, and Brian Wilson—had Tommy John surgery at some point. My guess: Strasburg comes back and is just as effective as before. Like Prior, Strasburg does have a lot of “arm action” in his delivery, so whether he re-injures his arm like Prior did several times (although he never had Tommy John surgery) is another story. Note: I wasn’t going to mention Rob Dibble, but I couldn’t help myself. For those of you who don’t know, Dibble is a former major league pitcher who is now the color commentator for the Washington Nationals television network. My friend Eric, who lives in DC, made me aware of Dibble’s shenanigans months ago. Forced to listen to him if he wants to watch baseball on TV, Eric described Dibble as a huge homer who constantly shouts ridiculous phrases. While watching online video highlights of a Mets-Nats game a few months ago, I was able to confirm this. More recently, I came across an article pointing out how Dibble argues with the home plate umpire despite replays showing the calls were clearly correct. Dibble is one of many (but perhaps the most frustrating example) who gets paid to cover sports despite being severely unqualified. It obviously helps that Dibble was a big leaguer—a two-time All Star who had a blazing fastball and a nasty temper, but whose career was cut short because of arm injuries. He wasn’t done. “Stop crying, go out there and pitch. Period.” There’s more, but you get the point. Dibble got hammered by the media for his comments even before it was announced that Strasburg would need surgery. Now that it’s clear—as if it wasn’t already—that Strasburg was not “crying” about nothing, Dibble looks like an even bigger fool, if that’s possible. To their credit, the Mid-Atlantic Sports Network has removed Dibble from the broadcast booth since he made his ridiculous comments, and it was recently announced he wouldn’t be making the upcoming road trip either. It’s not a reality TV show; it’s my fantasy baseball league. Stephen Strasburg’s first start for the Washington Nationals was as hyped as any baseball debut in the last 20 years. His arrival into my fantasy league was equally dramatic. One manager, Lee, was unaware that you could add a minor leaguer to your roster. Griffin, also a manager and Lee’s good friend, made him aware of this, saying he had planned to pick up Strasburg later that day. Except Lee, armed with this new knowledge, didn’t give him a chance: He picked up Strasburg that instant. Of course that is Grifin’s version of the story. Ask Lee and he’ll tell you he respectfully avoided picking up Strasburg, giving Griff ample time to make the claim. When he failed to act, Lee jumped at the chance. Strasburg has been in Lee’s starting lineup ever since, and much like Strasburg’s real-life team, Lee’s squad is in last place. That’s mostly because players like Andy Pettitte, who’s been on the DL since mid-July, and Geovany Soto, who’s been out for the last couple of weeks, have also been in his starting lineup for most of the year. Cleveland starter Fausto Carmona has hit a rough patch lately, but it doesn’t affect Lee’s team: Carmona hasn’t come off the bench since June. Lee isn’t alone in his disinterest. I’m sad to report that only three of the eight teams in my league have been active from the draft until now. Perhaps even sadder, two of the inactive teams are in first and third. I’m in fourth as I write this, but the standings are tight enough that by the time you’re reading this I could be in second. Of course that’s not saying much given that I’m only competing against two active teams. Two of the inactive teams have co-managers, which means two people are ignoring their rosters. One of these teams is managed by my younger brother and his friend. Although their team is close in several pitching categories, they failed to move Felix Hernandez or Tim Hudson off the bench for recent starts. They missed a complete game one-hitter by Toronto’s Shaun Marcum last night. In third place, currently ahead of two active teams, is The gators. Perhaps the most interesting team in my league, neither of the two co-managers have bothered to do much of anything since the draft. In late May they finally dropped Rich Harden and minor-leaguer Aroldis Chapman. In late June they made a couple more pitching changes. Other than that, nothing. Manny Ramirez has been in their starting lineup despite two very long stints on the DL. The gators have three bench hitters, but never make substitutions on off-days, so those players are worthless. Pittsburgh outfielder Andrew McCutchen came up in conversation recently, and one of The gators’ owners chimed in. “I love him,” he said. “He’s on my fantasy team.” The problem with this statement? I drafted McCutchen and he’s been in my lineup all season. Keep in mind that I trail this team in the standings. Two of the other active teams have taken advantage of the league’s apathy and amassed an abundance of closers. My friend John has a whopping nine closers on his team. Another manager has five. In fact, three of the teams in my league own 20 of MLB’s 30 closers. Both of these guys love to pull the old “offer and drop” technique as well. They’ll offer, say, Curtis Granderson in what seems like a lopsided deal. You’ll turn it down, and the next day Granderson will be available as a free agent. No, there’s not much pride in my league. If I’m going to air my opponents’ dirty laundry, it’s only fair I admit to my own sleaze. During a fellow manager’s birthday party, my co-manager and I took advantage of his inebriation and offered Mark Reynolds — and his .212 batting average — for Alex Rodriguez, the No. 3 overall pick. Our friend shook on the deal, though he wasn’t too happy when we made the official offer the following day.